Cleanse deep with charcoal wonders from Mary Kay, Life Brand and Clinique! Mary Kay ClearProof Deep-Cleansing Charcoal Mask - 114g - $26 - with a triple-action formula containing activated charcoal that acts like a magnet to unclog pores, instantly absorb excess oil and reduce shine for skin that looks clearer after use. It has a gentle cooling sensation on the skin and smell great with extracts of rosemary and peppermint that deliver a fresh scent to awaken your senses. 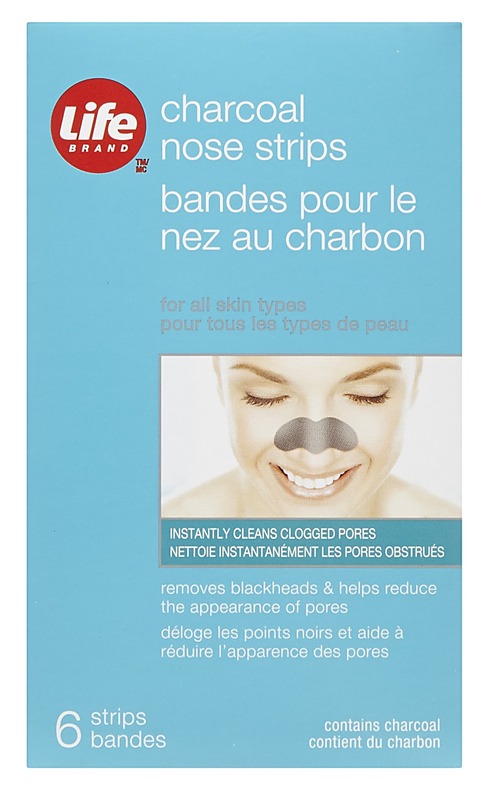 Life Brand Charcoal Nose Strips - 6 strips - $8.99 - a one-step cleansing treatment specifically designed to degunkify pores and quickly remove unwanted blackheads thanks to the charcoal containing strip which bonds instantly to dirt and oil, unclogging the pores. Also available as a 14 strip Face & Nose Strips Duo Pack for $13.99. 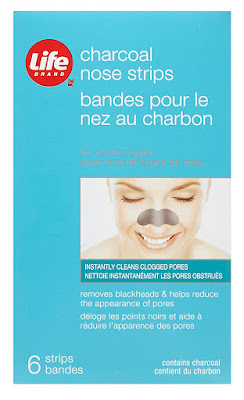 I love a pore strip and these ones do a great job but I will admit that I feel great satisfaction in seeing all the gross gunk that that comes out of my pores and with these dark coloured strips, that impact is gone! Clinique Pore Refining Solutions Charcoal Mask - 100ml - $33 - with an oil-free formula that absorbs oil, impurities, and environmental pollutants to help detoxify skin for a clear, refreshed complexion. Charcoal powder draws out deep-seated debris to purify pores, while mineral clays soak up excess oil to leave skin feeling renewed and smooth with noticeably refined pores. Available at Clinique counters across Canada including Hudson's Bay and select Shoppers Drug Mart locations.